The Brazilian government has approved tax reductions or exemptions pertaining to tablet production that will allow Apple manufacturing partner Foxconn to start iPad production in the country. Brazil's Inter-Ministerial Decree 34, which allows for a reduction or exemption from taxes for certain tablet computers, was signed on Monday and published in the country's "Official Gazette" on Wednesday, clearing the way for Chinese manufacturer Foxconn to begin production (machine translation) of Apple's iPad, reports Portuguese language newspaper Folha. Specifically, the decree states that companies investing in the research and development of keyboardless touchscreen tablets weighing less than 750 grams qualify for IPI (Excise Tax), PIS (Social Contribution Tax) and COFINS (Federal Contribution Tax) incentives. Also included under the decree are accessories, cables, power supplies and manuals associated with tablet computers. In September 2011, it was reported that the Taiwan-based electronics manufacturer's $12 billion deal to build iPads in Brazil was in jeopardy, with one government official saying that Foxconn had been making "crazy demands" for tax breaks. 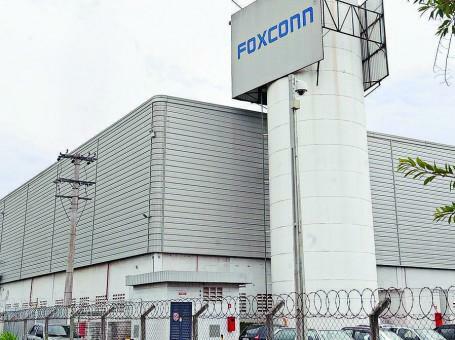 Production was scheduled to begin in July, but that date was pushed back twice as negotiations reportedly broke down, however it seems the two parties have reached a consensus and Foxconn is expected to ramp up iPad production as soon as possible. Apple in December launched its popular iPhone 4S model in Brazil as part of the fastest handset rollout in the company's history. The Cupertino, Calif., company is hoping to penetrate the growing Latin American market, and has reportedly hired former Sony Ericsson U.S. President Anderson Teixeira to head up the region's operations. There are also rumors that Apple is looking to build a flagship Brazilian retail outlet, though no official announcement has been made.